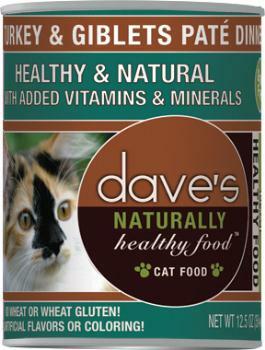 Dave’s Naturally Healthy™ Canned Cat Food is the best value for a good quality canned cat food you can buy. If you read the ingredient panel, you will notice it is loaded with real turkey, chicken or beef. Turkey, beef and chicken are a terrific source of protein. You will also notice there is no cereal, filler, by-products, wheat, soy or gluten. Plus we added vitamins and minerals to make sure your cat gets the proper nutrition she needs to thrive. 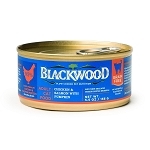 12.5 oz can - 1/2 of can per 6-8lbs your cat weighs Feed a according to age, size and activity of your cat Feed at room temperature and refrigerate unused portion, your cat should have access to clean and fresh water.